Published! Featured on Rustic Wedding Chic Today! 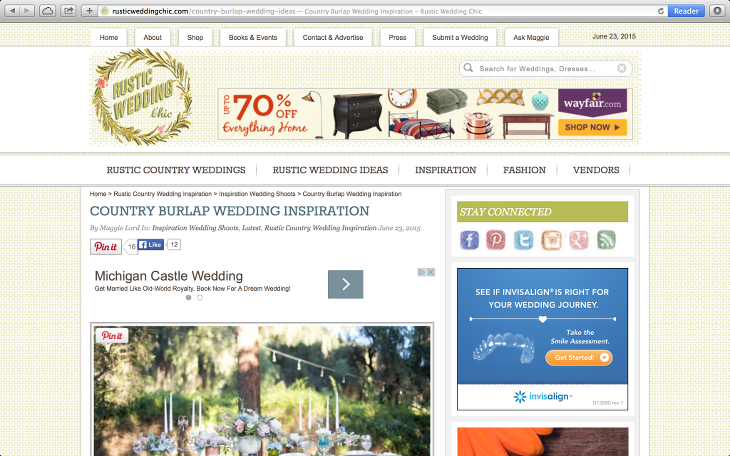 Oh we are so thrilled to be featured on Rustic Wedding Chic today! Thank you for picking up our styled shoot, we loved working on this so much and we’re so happy it’s being shared! Please click the photo below for the full feature, and thank you to our fabulous collaborating vendors for making this styled shoot so fun and pretty!